I asked a group of 5th graders the other day whether or not we can learn anything from studying other living things. 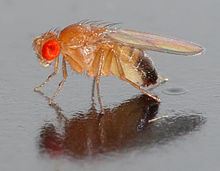 For example, if we mutate or change the DNA of another organism, like fruit flies (D. melanogaster), can we learn anything about what can happen when human DNA changes? For this particular class, it seemed to be an absolutely absurd question. This could have been because the thought of fruit flies made them ill right before lunch, or they were unsure about how much we have in common with fruit flies. After conducting a bacterial transformation lab with my students, where we genetically engineer the bacteria to make a jellyfish protein that fluoresces, we always jump into the discussion of why this technique is important. I always try to get the students to think of ways that this could benefit them. 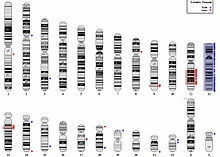 Genetic engineering is a common tool used by molecular biologists to manipulate the genes of an organism. One of the common forms of this technology is to transform bacteria with a gene from another organism, for example, the green fluorescent protein gene from the Pacific Jellyfish. 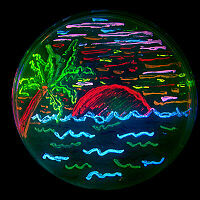 Giving this gene to bacteria will allow them to produce this protein and literally glow green. This technique has been widely used by pharmaceutical companies to produce human proteins as well to treat some common genetic disorders, such as diabetes. To see more on insulin production inside bacteria see, visit our DNAi.org section on manipulation.